Looking for the best fitness tracker with heart rate monitor? This article will help you find the best fitness band with a heart rate monitor in India. Before I start reviewing all fitness bands, lets first understand why it is important to track our heart rate – especially when we are looking to stay active or lose body fat quickly. When we engage our body in intense physical activities like running, swimming, walking, climbing stairs, exercising etc. our heart rate pumps at a higher rate than normal. If you are looking to burn calories or fat, the best way to do that is by increasing at your heart rate to 50 – 70% of your maximum heart rate. Many fitness trainers know this and encourage their clients to do HIIT (High Intensity Interval Training). The key here is to accelerate your heart rate over a short duration (usually 60-120 seconds) so that your heart rate pumps at a faster rate than normal resulting in burning calories. The American Heart Association suggests at least 150 minutes of moderate-intensity exercise a week or 75 minutes of vigorous exercise to foster good health. Increasing your activity level increases the number of calories you burn a day, which helps you burn the fat around your belly. How to calculate your maximum heart rate? According to the Centers for Disease Control and Prevention, a person’s target heart rate should be 50 to 70% of his or her maximum heart rate. The Formula for maximum heart rate is very easy – You just have to subtract your age from 220 to know your maximum heart rate. The Target heart rate is usually 50 – 70% of a person’s maximum heart rate to achieve a moderate level of physical activity. Anything over 70% of your maximum heart rate is considered to be high-intensity physical activity. Using the above calculation a 35-year-old person needs to hit a target heart rate between 92.5 and 129.50 to achieve a moderate intensity during any physical activity be it running, swimming, cycling etc. 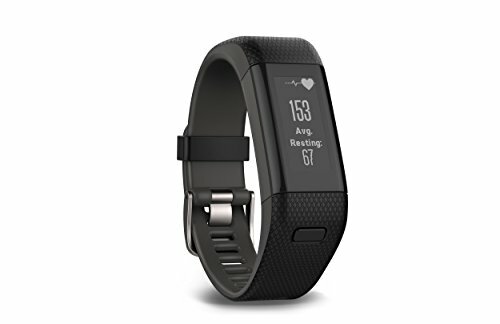 Getting a fitness tracker with heart rate monitor is useful for people who are looking for Accurate data in order to achieve the fitness goals. 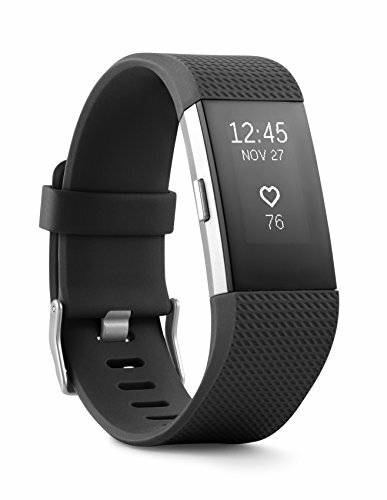 Not all fitness bands can track your heart rate accurately, therefore, it is important to understand which is the best fitness tracker with heart rate monitor. If you are searching on websites like Amazon, you will find many fitness trackers with a heart rate monitor that claim to be accurate. However, there are very few which give you accurate data. Let’s have a look at the three best fitness bands that monitor heart rate and report accurate data. Garmin has always been known for its specialization in the GPS technology. But most recently this 28 years old American multinational has entered wearable technology to compete with the likes of Fitbit and Apple. The Garmin Vivosmart HR+ fitness band is an activity band with 24/7 optical Heart Rate monitoring. The above video reveals that the Garmin Vivosmart HR+ gives accurate heartbeat when it is compared with an ECG. 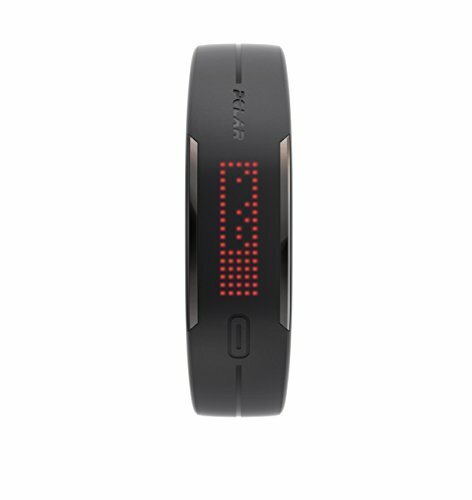 Accurately track the heart rate and step count. Ability to track each activity – Running, Swimming, Cycling etc. You will notice from the above video that the Vivosmart HR+ delivered accurate results in the above video when it was compared with an ECG. The next best fitness band with a heart rate monitor is Fitbit Charge 2. This 10-year-old American company offers hell a lot of fitness bands for its health-conscious audience. Each Fitbit model has different features and is targeted to a specific customer segment – Runners, Swimmers, Cyclists etc. Like any wrist-based HR monitor, the Charge 2 suffers big problems at a high intensity where it succumbs to a fairly hefty lag time and motion noise. However, it’s still good enough for workouts in the gym and on the road if you’re not too worried about pinpoint accuracy. Fitbit’s app is one of the most accessible ways to track your workouts. Record your activity in multi-sport modes – Running, Cycling, Swimming etc. Polar Loop is an activity band that really makes you move. It tracks your every step, jump, run or swim and even your sleep. The Polar Loop can be synced with Polar’s H7 heart rate monitor to track your daily workout activity whether it’s running, swimming, cycling etc. The H7 monitor sends the heart rate info directly with your Polar Loop and gives you data in your Polar Flow app in your smartphone. It’s a great device to track your heart rate activity especially for people who are looking to burn that extra fat and calories in your body.